Synquity offers guidelines, encouragement and practical input to help you lead your organisation, grow your business, team or career. We’d like to invite you to scroll down and if you have further questions or feedback please contact mads@synquity.com or view our website at www.synquity.com. Practicing Conscious Business : Chocolate Rush Competition! Interesting Worthwhile Updates from Partners! 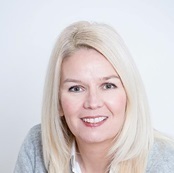 Dr. Bettina von Stamm is an original and visionary thinker in the field of innovation, and she has focused on enabling innovation in large organisations since 1992. 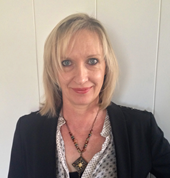 She is the founder and director of the Innovation Leadership Forum (ILF), which offers a human-centred approach to understanding and enabling innovation by engaging in public speaking and workshops, research and publications, as well as Innovators Anonymous, the ILF's Networking Group. While we have talked for quite some time now about the importance of innovation, study after study finds that CEOs are not quite happy with the results. Why? The first piece of the puzzle revealed itself to me over 20 years ago when I started working for myself. I often got the reaction of: gosh, how brave, how courageous! It did not feel like that to me! Doing a job I could not feel passionate about would have taken much more courage… Working for myself was the easy way out. It became very clear to me then that we obviously have a different understanding of what constitutes risk, bravery, and courage. Those with an idea are generally enthusiastic, communicating excitedly about how they are going to change the world. Those they are communicating with, and trying to sell the idea to, have often a different frame of mind: they might not get so excited by changing the world, in fact, they’d prefer things stayed as they are (often because they were the ones putting the current system into place). 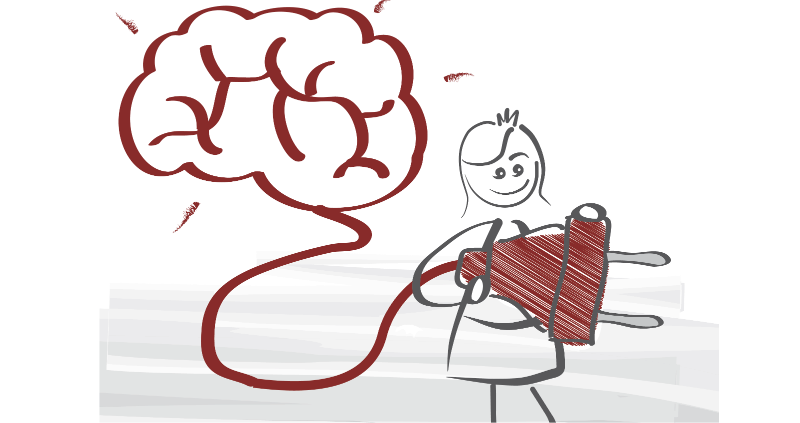 Put very simply, our brain is divided into two main parts: the ‘old’ or limbic part of the brain, called Amygdala, to which I will refer to as the ‘red zone’. Then there is the ‘new’ part, the Prefrontal Cortex, to which I will refer to as the ‘blue zone’. Each part has different functions, and being in the red or the blue is triggered by different things. Another important point to mention here is that the amount of energy available to the brain is fixed, meaning that if energy is used by one part of the brain, e.g. the red zone, it is not available to the other, e.g. the blue zone. Let’s take a look at the red zone first; It is triggered by stress hormones and increases heart rate and blood flow to the skeletal muscles. It is focused on self, is sensitive to threat; it is the seat of anger, fear and depression. It is about fight or flight and instinct, about impulses and desires; it is also about low order learning (e.g. memorising rather than applying knowledge), and importantly, it is resistant to change. We end up in the red zone through things such as a physical threat, fear, anxiety, guilt; but also by a lack of clarity, rejection and sarcasm, exclusion and not being listened to, perceived unfairness and being judged, and being told how to think. Indeed, it is hard to think straight when we are angry or stressed (in fact, we see ‘red …). What about the blue zone? It is reflective, managing our impulsive desires; it is slower and more resource intensive. It is the seat of affiliation, generosity and goodwill; it is the home of imagination and creativity, where options are considered, and higher order learning takes place, i.e. combining things. We get into the blue zone fundamentally by feeling safe; this involves feeling respected, trusted and loved, being listened to - receiving authentic attention, being acknowledged and included, having clarity and permission, experiencing generosity and also when others show vulnerability. 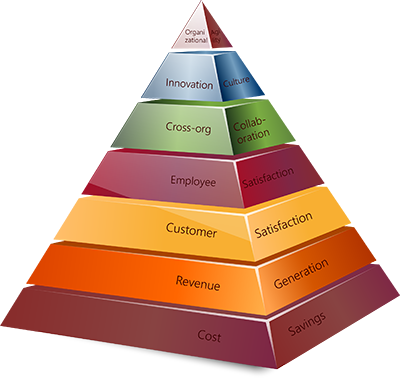 Now let’s come back to our starting point: about organisations struggling with innovation. What generally happens? The CEO stands up saying: we need more innovation, all of you need to become more innovative! If risk, uncertainty and ambiguity are outside the comfort zone - which they certainly are for many of us - which zone do you think will be triggered? Accepting people just the way they are, with their differences in preferences, not least with regards to risk, uncertainty and ambiguity. If we want innovation and not just creativity we need all of them anyway! Consciously working on getting those people back into the blue zone. Involve them, by perhaps asking their opinion, and listen to them with an open mind and heart (meaning also that we stay calm and open when they give it to us…). Providing clarity, and making that which does not yet exist more tangible, be it through storytelling or prototypes. And finally, humor and laughter dissipates tension and is one mechanism of bringing the energy from the red back into the blue part of our brain. You need to figure out “what you want” as a leader or organization, and articulate it clearly. It is easy to assume ‘people know where we are going or what we are about as an organization.’ Perhaps it has been said or it may seem quite obvious after years of operating. However, deliberately creating a meaningful vision and purpose will really unleash your strategic focus and direction and doing so will create the energy to achieve it. Creating meaningful direction requires you to step back from the daily pressures and day to day operations. Reflection allows you to make the connection to your deepest desires for the organization, your motivations, the contribution you want to make, and to create a collaborative strategy to overcome the challenges you face and achieve the results you want. Managers and leaders deserve the support, insight, knowledge, and skills to collaborate and innovate in the ‘blue zone’ manner, explained further by Dr. Bettina von Stamm in the article below. Shifting a culture and (re)building an organization takes persistent focus, time and incredible resilience. At Synquity, we are completely dedicated to supporting you achieve the best organizational results through a combination of leadership and team coaching across the organization. Call us now or email mads@synquity.com for a free introductory discussion backed up with strong referrals. is walking the talk with Synquity! 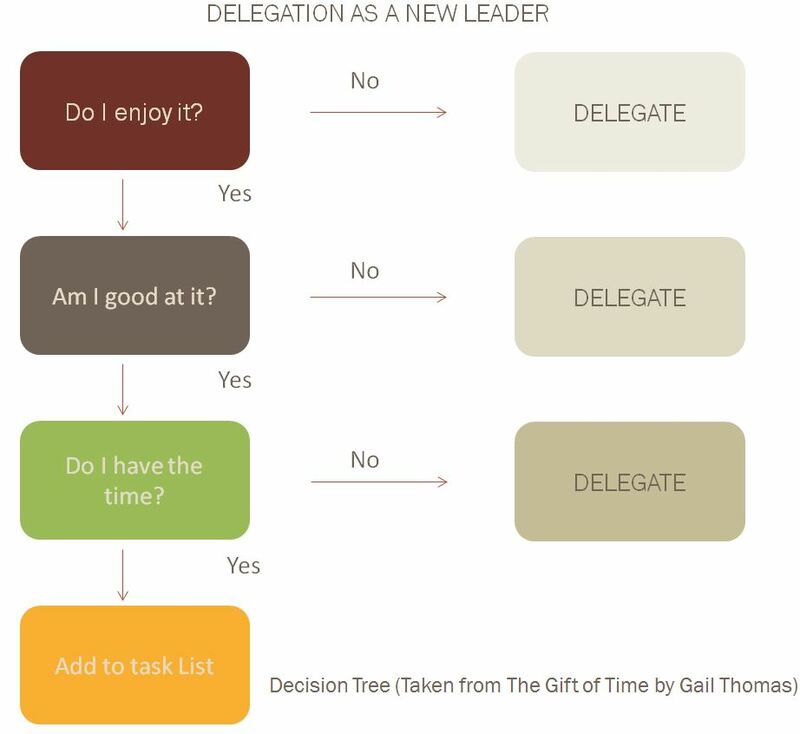 Gail Thomas penned The Gift of Time off the back of research into the benefits of delegation to business. Realizing that this under-used skill needed some new attention, she was able to value it in economic terms and recognize the barriers to success, types of delegation and best practice processes that make it a vital tool for personal and team success. The Gift of Time is also accompanied by a CPD accredited online course . might be nice to have the link to this course, if you know it. Doing something good never tasted so sweet! We have a very sweet invitation for you. 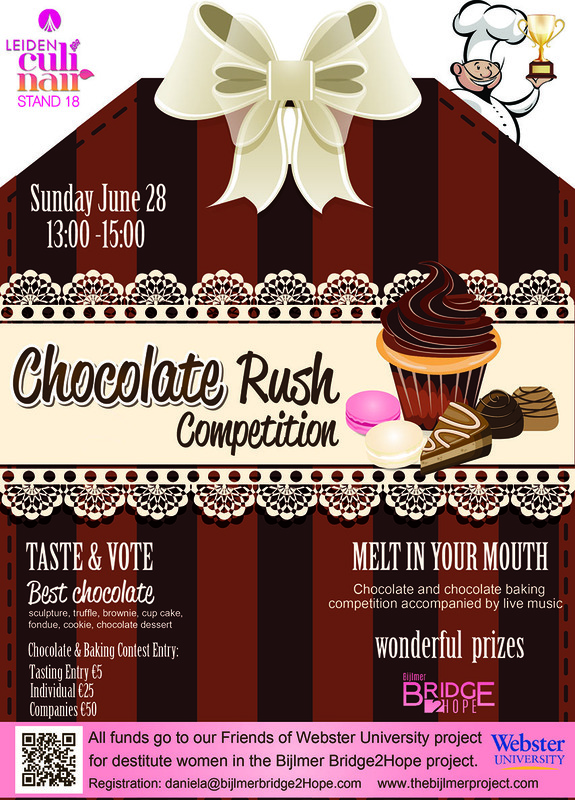 On 28 June at 13:00 at the Leiden Culinair Festival, in Leiden, The Netherlands, together with Webster University and partners we are proud to be hosting the Chocolate Rush Competition!!! Besides being sweet and fun, this chocolate rush is for a good cause - by participating, you will help us to generate funds for the Bijlmer Bridge2Hope project! a) Enter the competition to show off your culinary techniques by creating chocolate yumminess from categories; best chocolate truffle, best chocolate brownie, best dessert, best cupcake, best chocolate cookies or best sculpture in the region! Individual entry is €25 and group is €50. b) Or purchasing a ticket (€5) to taste and vote on the best chocolate entry in a category! Join us at the Chocolate Rush Competition and savor the results from our passionate individuals, chocolatiers, bakers as well as top restaurants from the region. 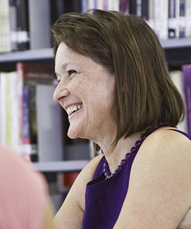 11 June 2015: Women in medicine: How you can take a leadership role? WomensBizz / UnitedSucces joint event June 23, 2015, from 16:00 until 21:30. A wonderful opportunity to meet up with the members of WomensBizz. This joint event will take place at the Brasserie De Kaagsociëteit in Warmond. We will start with a boat tour and afterwards we will enjoy a delicious dinner in the Brasserie. Maarten van Dongen (Partner at Innotact) and his colleague, Arthur Tutein Nolthenuis, have begun an initiative whereby you can rent a lab. LabForRent is an enterprise that makes the connections between laboratories located in companies, incubators and science parks and startups and developing companies – just to name a few. LabForRent displays the technical specifications, the supporting facilities and services in the available laboratories. This information is freely available to everyone. http://www.labforrent.nl. This video illustrates how LabForRent works! Trompenaars Hampden-Turner Consulting has been acquired by KPMG. THT will be part of the KPMG international People & Change practice and continue to provide training and consulting services to both public and private sectors (mainly Top 500 Fortune companies) in the areas of globalization, mergers and acquisitions, corporate identity and sustainability, as well as training and leadership development on leveraging diversity and developing cultural awareness and competence. Copyright © 2014 Synquity All rights reserved.